The use of Tasers by police officers in NSW has been under scrutiny over recent years after a number of high profile cases where the weapons have been misused against members of the public. In 2012, the NSW Ombudsman published a report on the use of Tasers by NSW police officers, making a number of recommendations as to how the system could be improved to ensure that the weapons are used appropriately and for their intended purpose, instead of recklessly and without good reason. In response to the Ombudsman’s report, NSW Police Commissioner Andrew Scipione defended Tasers as a useful and effective tool for managing violent situations, without police officers having to resort to using firearms and lethal force. Mr Scipione stated that although the NSW Ombudsman found 80 cases where Tasers were misused out of 556 incidents reviewed in the report, the majority of times, Tasers were used appropriately and within the guidelines for their use. Although Tasers may be touted as a safe alternative to using guns, this doesn’t mean they are harmless. The death of Brazilian student Roberto Laudisio Curti in the Sydney CBD in 2012 demonstrates how lethal Tasers can be when they are used repeatedly in combination with other force. The potential for serious harm to be caused by police using Tasers inappropriately means that there is a need for their use to be clearly restricted and monitored. When do police misuse Tasers? According to police guidelines, Tasers are only meant to be used in very specific situations where there is a direct threat of death or violence, or if a police officer is likely to be injured while trying to subdue or arrest a person. Unfortunately this isn’t always the case, and Tasers are often used in situations where conflict resolution and negotiation skills would be more appropriate. 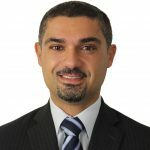 The use of Tasers against people suffering from mental illness has also raised concerns in NSW and in the ACT, where documents released under the Freedom of Information Act revealed that out of 11 Taser incidents in the first six months of this year, eight involved people who had a mental health problem. 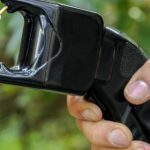 Currently, only senior police officers in the ACT are issued with Tasers, and requests for more Tasers to be supplied to frontline police officers have recently been refused by the legislative assembly. 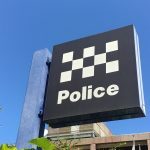 There have been a number of other incidents in NSW where it has been shown that police officers have used Tasers inappropriately or excessively, including one where Tasers were used against a 14-year-old boy. 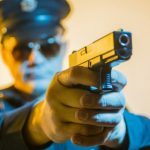 According to video footage of the incident, the boy was not posing an immediate threat to the police officers, but was on his knees and in a great deal of distress the second time he was tasered. An Ombudsman report into the incident found that police weren’t justified in using that level of force on the boy, and that the use of Tasers against him contravened the operating guidelines for using the weapons. In the case of Roberto Laudisio Curti, the 21-year-old Brazilian student died after a chase and a struggle with a number of police officers, during which he was held down, sprayed with capsicum spray, and tasered repeatedly, being hit nine times. Curti was acting erratically at the time, due to having taken LSD, and had stolen a packet of biscuits from a convenience store. The coroner who investigated the incident recommended disciplinary action be taken against the officers and stated that their actions were an abuse of police powers. Four officers have since been charged with assault over the incident, and are currently before the court. Last week, the officers involved applied for a permanent stay on the proceedings, claiming that the case was tainted by directed interviews, in which they were “compelled” to answer questions with the threat of disciplinary action. If the stay is granted, it means that the case will be dropped. What are the long-term implications of Taser misuse by police? As well as being a risk to the community, the misuse of Tasers by police can create a lot of negative feelings and antagonism towards police officers, which can lead to increased levels of violence and lack of respect for police over the long term. The incident involving the 14-year-old boy was widely criticised as making an already tense situation between the local Aboriginal community and law enforcement agencies worse, and this can be true of other sections of the community as well. More training for police officers to teach them better negotiation skills, especially when dealing with people suffering a mental episode or mental illness, could go a long way to reducing the overuse of Tasers. 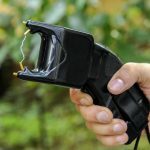 Adequate training and stricter guidelines could help ensure that Tasers are only used for their intended purpose, when absolutely necessary to protect police officers or members of the public, and are not overused or misused as a way for police officers to intimidate and bully others.